No matter your age, Dr. Markel is here to help! Sometimes, the issue of jaw development comes up in a young patient which will affect the adult face and position of the teeth. We can recognize this early on and many times treating it early prevents later problems. Because in most cases the permanent teeth are larger than the "baby" teeth, we like to see lots of spacing between the primary teeth. If there isn't, we are often able to guide the growth of a child's developing jaw to head off more difficult problems later. We examine every young patient we see (beginning at ages 3 to 6) for these types of issues. 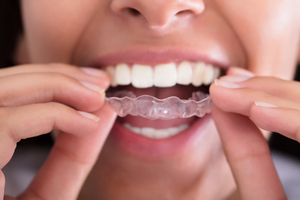 Dr. Markel uses a combination of orthopedics, orthodontics, and Invisalign to custom design treatment for each individual need. Some smile treatments take 12 months, some take longer depending on the situation that needs correcting. 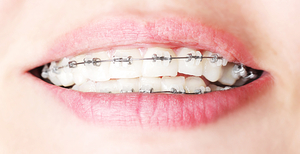 You can have orthodontics, or teeth straightening, at just about any age, depending on the health of the teeth and surrounding tissues. We are always happy to listen to you and discuss your treatment options.